I recently purchased a used camioneta in Mexico City which had been owned by the manufacturer and used for a while before being taken off the road. 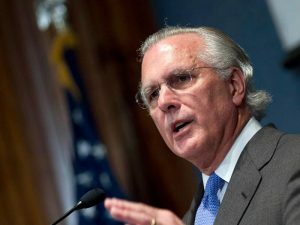 It was sold to its finance company and then to one of its agencies. Each time it was sold internally it generated digital facturas and a normal factura when it was finally sold to the public without license plates. 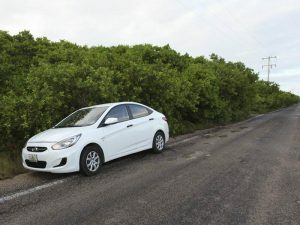 I drove it back to the Yucatan and turned over the problem of getting the ownership changed and new license plates to Adriana Cruz at Yucatan Expatriate Services. Because of the multiple facturas and the fact that it was from out of state, this was a very complicated procedure and one which took many visits to the police and much time and patience. Thanks to Adriana’s intelligence, patience and perseverance, I now have my license plates and my vehicular permit. A lot of time and many trips to the police were involved and she did an amazing job of getting the right people to the right place at the right time. I could not have done it without her and I highly recommend Adriana Cruz and the other people at Yucatan Expatriate Services. I want to thank all YES staff for their consummate professionalism in the process of obtaining my Permanent Resident Visa, which I received in December, 2016. The fee for this service is extremely reasonable, and I highly recommend speaking with YES staff if considering a Permanent Resident Visa. 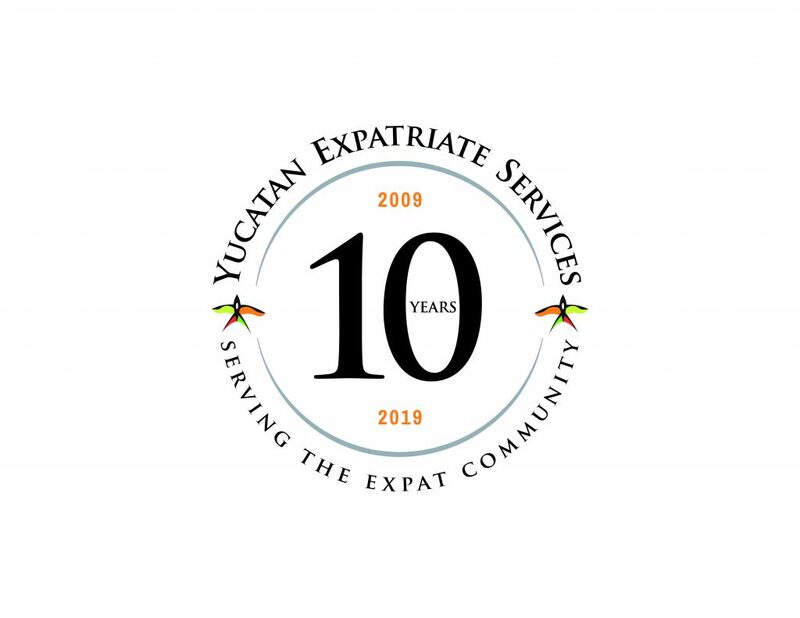 I’m very happy to recommend Yucatan Expatriate Services to anyone who has moved to Yucatán or is thinking of moving here. I have used their services since 2010, when they helped arrange my FM-3, followed by the new Residente Temporal status the following year. Recently they assisted with my Residente Permanente application. Each time I have worked with them, they have made the process smooth and simple; they explain everything clearly, and there are no surprises later. Since they are experts in what they do, they ensure that everything is done right the first time, and handle all the filing of applications, etc, which saves applicants from making multiple trips to immigration and standing in line for hours. I speak Spanish, but for someone who does not, that fact alone would be a good reason to work with YES. Their fees for their services are reasonable, and the assurance and peace of mind they provide are priceless. I highly recommend to work with them for any “bureaucratic” processes here in Mérida. During the past two years, YES has assisted us with various procedures during and after our move to Mérida. 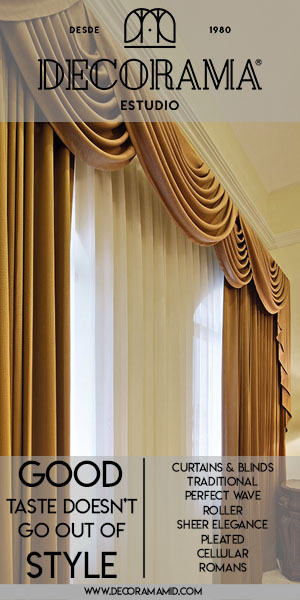 We are consistently very pleased with the attentive and professional service offered to us each time. From the moment you walk in the door at YES, the hospitable and friendly staff will make you feel at ease and address any of your concerns about your pending processes. Liz and Adriana have been in charge of our needs each time at YES. These sincere ladies have efficiently carried out our procedures each time, even when problems arise during the course of the procedure. Many times rules and regulations change here in Mexico and the Yucatan, but these competent ladies are constantly being updated with the latest regulations. Therefore, when those occasional problems arise in the middle of a process, Liz and Adriana are able to quickly resolve those issues with appropriate authorities and proceed until the job is completed satisfactorily. They truly take the stress out of dealing with the bureaucratic steps. They are a true joy to work with! We will continue to be very pleased YES clients in the future! The service you provide and the manner in which you provide it goes beyond exceptional. I appreciate very much how you gals have made dealing with the various necessities of an expat such as myself as painless as possible. Thank you again. This is intended to advise you of our overwhelming satisfaction with YES and with Liz Marmolejo, in particular. We have used YES for such diverse functions as obtaining our Residente Temporal cards, arranging to have the utilities at our home changed to our names and subsequently paying such utility bills for us while we were still in the US, shopping for special order mattresses, returning a chair badly damaged during delivery, nationalizing our car and finding and scheduling certain services (such a debris removal) for us. In each and every instance YES delivered, on schedule, as represented, and for a very reasonable charge. 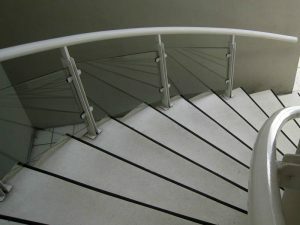 In addition, when we decided we wanted to hire a mozo for our home, YES advertised for the position, responded to inquiries from interested parties, pre-screened and interviewed each candidate, followed up on all references supplied, arranged for us to conduct interviews and helped with the final hiring. Each of the final three candidates provided for our review by YES was so eminently qualified we had difficulty making the choice between them. As I now try to think of something that YES did not do well, I cannot come up with a single item. If anyone would like to contact us personally to verify this testimonial, we hereby authorize YES to provide our contact information. After years of coming downs to Mexico I have decided to apply for resident card. I believe it was beginning of February. I did not know how to started and the lady in Mexican consulate in NY has been as confused as myself. She did not have any answers. I started looking for any kind of information online and after days of searching I found YES. I sent them an email with questions and Adriana Cruz responded right away patiently providing me with all the answers and later guiding me trough for the second part I had to come to Mexico. I thought that this was going to be the tricky part with interviews, background check, endless paper work and bureaucracy. Nothing like that. My only work was ten minute interview (two questions) in small office in Valladolid. Adriana has taken care of everything else. She is super professional, knowledgable and has a lot of patience. As I said to her, one gets really impressed only few times in life and this is one of those times. I will certainly use YES to finalize my land purchase and I will certainly recommend them to all of you. Today I received my residents card (end of may). Thank you again Adriana and YES. I would like to take this opportunity to personally thank the great staff at Yucatan Expatriate Services for all they have done to help me realize my dream of purchasing my very own beach house in the beautiful state of Yucatan. From the first reply to an email that I sent them I knew that I had found some very special and wonderful people who did not hesitate to go out of their way to help me with every little detail. From organizing home inspections to negotiating the offer to finalizing the deal and everything in between and even afterwards arranging to have tradesmen provide me with quotes for some jobs that needed doing, the very capable and professional staff at Y.E.S. and Adriana in particular have been an absolute pleasure to work with.Even though my immediate plans are not to relocate to Mexico, Adriana has not left a single email unanswered (and there have been MANY!) Whether you are considering retirement in this part of the world , investing in the real estate market here, or simply wishing to own a vacation home to visit once in awhile, I would highly recommend contacting the good folks at Y.E.S. and allowing them to put their invaluable resources and vast knowledge to work for you.YOU WILL NOT BE DISAPPOINTED! We have used YES for the past 2 applications for our visa renewals. They were very complete and prompt with their services and communication. Our visa application was a little more complicated because it included permission to work and applications for minors, our children. Our involvement required answering a few questions required by the immigration office and copies of our documentation, and that was it. They scheduled the appointments and filed the necessary additional paperwork as requested by the immigration officials. YES also understood the changing laws and non-resident requirements, which helped to expedite the entire process. This is excellent service indeed! Just to let you know how much we appreciate all the hours of your hard work and help with obtaining my resident card. We would not have known how to get started, who to see, where to go or when, and what paperwork was necessary. We’re lucky to have found someone with your experience to guide us through some of the difficulties, such as obtaining an apostillle and translation of them. You gave us instructions in a consistent manner and even sending us sample letters as guides. We truly appreciate your understanding and support regarding set backs we had to encounter. You took time out of your busy schedule to speak and/or immediately answer our e-mails; even make and schedule meetings with immigration agents. You took care of all the details with diligence and skill. Y.E.S., I want you to know you have an exceptional employee in Ms. Lizbeth Marmolejo Figueroa. Ms. Marmolejo (Liz) is courteous, friendly, and she made sure that everything ran smoothly. It takes dedication and insight into the whole process which she surly displayed. Such a professional is rare now days. Liz is an asset to your organization and is part of the reason we look forward to doing business with you again in the future. We found Yucatan Expatriate Services on the internet during our research of Merida following our decision to move from our home in Florida to Mexico. We contacted their office to discuss their services regarding the completion of our “Temporary Resident” immigration status that we had previously started at the Mexican Consulate in Miami. This process came to a successful completion on January 3, 2014 when we received our final ‘green cards’. We had the pleasure of meeting with Ms. Adriana Cruz, who is an attorney specializing in immigration matters, shortly after our arrival in Merida in November. At this meeting she discussed the process required for the completion of our immigration status, discussed the timing required for processing the application by the Mexican Government, answered any questions we may have had, and discussed her fees. We were given an accurate list of items and documents required for the application which we provided her, and I am pleased to say that the whole process took place exactly as she described and in the time frame that we were given. Ms. Cruz and the staff members who assisted us are very knowledgeable, and conducted themselves in a respectful and highly professional manner. 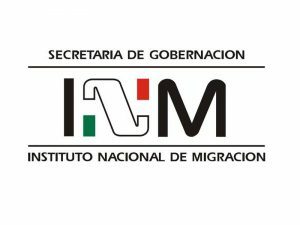 They make it a point to stay informed of the ever changing regulatory requirements of the Mexican Government regarding the immigration process; thus making our transition into Mexico a pleasurable experience. I would strongly recommend their company and their related services to anyone seeking information, guidance, and assistance with any immigration matter. I have used YES services several times over the last few years to assist me with my immigration process in Mexico, and highly recommend them for their efficient and friendly service. They are very well organized and informed, and understand the immigration requirements very well. They clearly explain what is needed, and handle everything, meaning that I only have to make one brief visit to the immigration office myself. Of course it is cheaper to do everything yourself, however since YES services are not expensive, I believe they offer excellent value for money, since they know exactly what is needed, and by using their services, you avoid wasting time and potentially money by getting things wrong. Additionally since they make sure everything is perfect before the applications are submitted, it makes the whole process very smooth. 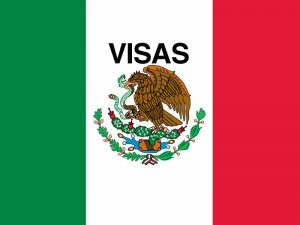 I would have no hesitation recommending YES to anyone who needs assistance with immigration processes in Merida, or any of the other services that they offer. Best and most easiest experience I had. I always dreaded the visit to the Immigration Office. YES made it a joy! Both my husband and I were very happy and satisfied with the way you handled his immigration status. We would not hesitate to recommend ( YES ) to any one in need of assistance. As newly arrived jubilados with a lot of internet research behind us we thought we knew what we had to do, where to go, who to see, what to take with us, etc, etc. to sort out our immigration, health, 3rd Age social security, household goods importation, etc. We and the internet were very wrong, YES paved the way for us to safely pass through mysterious steps, checks and balances that are neither stated nor obvious and which appear designed to astound, confound and frustrate the unknowing. Because of an injury to my foot this year, I wanted to reduce the number of visits to the immigration office for the annual renewal of my visa. So I asked YES if they could help. Not only did they manage to reduce the usual three visits to none, but they also managed to eliminate the need for visits for the next ten years by recommending a permanent resident visa. From my first contact with YES they proved to be professional, efficient and friendly. I truly appreciate the service YES gave me this year with the renewal of my migratory document! I remember all the years I spent standing in line at migration only to hear them tell me to come back another day with some additional document. This frustrating process would go on for weeks. Lizbeth, at YES, was so friendly, always informed, and incredibly helpful throughout the process. I only had to go to migration once to sign the documents. In the process of my quick 15 minutes at the migration office I could watch Lizbeth crossing from department to department efficiently processing various other documents at the same time. The YES employees truly know how to work the system and get things done! And after of 5 terrible years of doing it myself, I still didn’t have it all figured out. I highly recommend any expat to use this service. Trust me, paying the reasonable YES fees to save days of waiting in line and weeks of headaches is well worth it! Your expertise made our change from FM3 to Residente Permanente this year very easy and I would not hesitate to recommend your services to anyone who asks me about your agency. The ability to have someone do all the paperwork and interact with migración on our behalf was the reason we returned to you again this year. This morning, Adriana also assisted us with a problem we are having with FedEx. She put us in contact with a customs broker who speaks fluent English and who was also very helpful and easy to understand. Again, thank you very much for all the help you’ve given us during the past two years. I’m sure we’ll be in touch again! We moved to Merida 3 months ago and used YES services a few times for some of the more complicated issues here in Mexico and had excellent service every time. The entire staff at YES is friendly, knowledgeable, efficient and very helpful and their prices are quite reasonable. We would highly recommend the services of YES to anyone needing insurance, purchasing and registering a vehicle or getting your permanent visa status, but they can also help you with a variety of other things. Give them a call or send them an email, you won’t be disappointed. 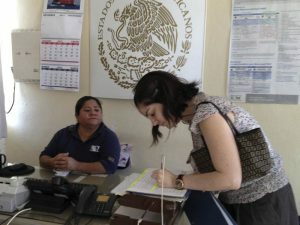 Yucatan Expatriate Services was good value for money as I was relieved of all the stress associated with standing in line for SO long and numerous times at the Immigration Office. Lizbeth was efficient, spoke good English if it was needed and kept me informed of all the transactions. YES offices are comfortable and easy to locate and I would recommend their services to any newcomers to Merida. I have been using YES for more than four years now. They give excellent service,efficient and are very charming people to work with. I highly recommend their services as they take the guess work and frustration out of the procedures that are foreign to us as ex pats. More so if one does not speak the language. Yucatan Expatriate Services has been such a great resource to me since I moved to the Yucatan four years ago. 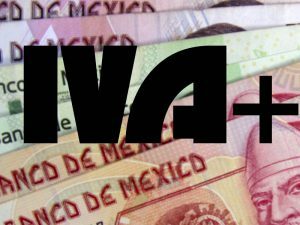 I’ve utilized their services for the past three years to renew my Mexican visa and they’ve always steered me in the right direction and the process has always gone smoothly at the immigration offices. I have also been able to rely on them to answer questions for me on other typical ex-pat issues (cars, business questions, legal issues…etc.) Adriana Cruz always responds quickly via e-mail with answers to any questions I’ve had. Thank you all for you support over the years! YES has been a life saver for me. They have helped me with visa renewals, a work permit and tax registration, car registration renewal, numerous referrals to services, given me advice on business matters, and much, much more. They have saved me hours and hours of waiting in lines and frustration. I have found their prices very reasonable and their service excellent. When I see potential difficulties or frustrations on the horizon, I don’t make a move without them. Adriana has become my best guardian angel and most knowledgeable source in Merida. YES is here to serve the expat community–and they do it, very well. My first experience with YES was when I met Lizbeth at the Immigration Office while I was attempting to obtain my first FM3. We were chatting while sitting next to each other in the waiting room. Lo and behold, she was helping other folks like me with their immigration status. I soon contacted the YES office and asked them for assistance in obtaining my FM3 which they handled with professionalism, friendliness and efficiency. Subsequently, they have helped me to obtain my permanent residency card under the new immigration laws, and they also assisted me with not only arranging for a civil marriage ceremony, but also standing up as our witnesses. I highly recommend the team at YES, especially Adriana and Lizbeth. As a foreigner who speaks very little Spanish, I could not have managed to do these things without their help. The service you provide is so time saving, cannot recommend it enough! As YES clients, we recently reached out to them for help with a medical emergency. An evening stroll in the busy downtown lead to a fall resulting in a badly injured ankle. Not knowing if my severe pain was a sprain or a more serious broken bone we called Adriana Cruz at YES for help. We explained the situation and within 20 minutes Adriana identified a Foot and Ankle Specialist, Dr. Mario Arturo Rios Arjona at Star Medica and arranged a same day appointment with Dr. Arturo. Dr. Arturo is an english speaking specialist with an impressive background. During the unhurried, 30 minute consultation, he thoroughly examined me, assessed the situation and assured me that the injury was only a sprain. His treatment plan was simple and effective. The cost for his services was about the same as my Kaiser copay in California. He showed compassion and professionalism. Because of Adriana’s knowledge of the resources available the medical emergency was handled quickly and efficiently. Thank you Adriana, YES and Dr. Arturo for being there for us. I have thoroughly enjoyed working with you over the past two months. You and the entire staff at YES were extremely helpful in getting me information that I needed to consider opening a new business here in Merida. Your organization and efficiency were impressive. Everyone was so professional in returning calls, answering e-mails and responding to my inquiries. It’s important to have a network of people who can help you cut through the red tape and you knew exactly who to turn to for answers to my questions. Your reports told me what to do, when to do it and how much it would cost. Your fees were very reasonable for the amount of work you did and the information you supplied me. I would still be floundering if you had not shown me quickly what I needed to know. Thank you. In the future, if I question whether or not something can be done, I will know who to turn to for my answers. YES! Can they do it? Yes. YES they can. Todd and I went to the Money and Legal forum that YES put on earlier this year and it has really helped! I am so glad that someone else did all that homework for us. Our move to Mexico and consequent house purchase with a fideicomiso has been smooth because our information and list of contacts was thoroughly vetted by people who know! I hear stories from other expats about bad experiences and getting ripped off and I am so thankful to always be steered in the right direction due to YES’ hard work and experience. Also, I have no patience and I didn’t want Mexico’s immigration office to suffer my major character flaw, therefore, I hired YES to process my FM3. I like showing up for only 1 appointment versus 3. And when we got to immigration, we were seen at the time we were supposed to be seen. Evidently, that never happens. Again, the stories I have heard! Why doesn’t everyone use YES? I have had a great relationship for 2 years now with Adriana. I have been very pleased with all her efforts to renew my FM3 each year. Since I don’t live there full time, I need to get it done quickly. She expedites everything for me, thus saving me time and effort. I would highly recommend both Adrianna and YES services!! We have had great experiences with YES! they are professional and very thorough… we have saved a lot of time using their services! Thank you for your top notch service and incredibly welcoming staff. 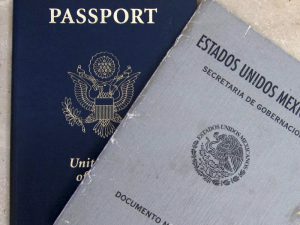 My husband and I will be moving to the Yucatan area soon and like all expats, we need up to date information. We emailed a few services in Merida, Mexico with a request for information. No other sources were as efficient, informative and thorough as your service. Thank you for answering my first email within hours. As a Business Owner, I was impressed with your follow through and excellent customer service. I give YES the highest recommendation to all individuals and businesses who may be in need of your services. We have arrived safely in Merida with our dear little dog. We are here safe and sound and he is adjusting to his new surroundings. We will be in touch again soon but just wanted to thank you so very much for all your help with the Pet Broker and for speaking with the Mexican Department of Agriculture on our behalf. We would like to stop by sometime when we are in the city and say “hello” personally. Our sincere thanks and kind regards. 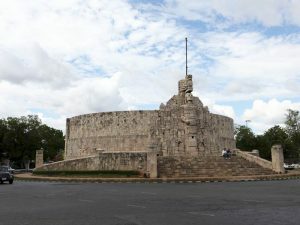 As soon as we knew we were moving from the U.S. to Merida, we contacted Yucatan Expatriate Services and that turned out to be the best decision we could have made. We learned early in the process that customs and procedures in Mexico are completely different than those at home. Even for those who have some command of the Spanish language (which we do not), accomplishing simple tasks can be confusing and complex. Working with the staff at YES saved us time and money and ultimately spared us from untold amounts of stress and worry. We literally could not have made the move without their help. Even before our move when we had questions about immigration, visas and FM3s, YES was there for us. Once we arrived in Merida, YES staff helped us open bank accounts (not a simple process), arrange for telephone service, document our residence for immigration, order internet service and more. When we were ready to purchase our home, their team of lawyers was there to protect our interests and represent us at closing. No request was too big or too small. From connecting us with an English speaking physician to finding a telephone directory for us, the entire YES team was warm, receptive and helpful. We offer our heartfelt thanks to Betty, Adriana (our guardian angel), Ignacio (our attorney) and the entire staff at YES. My husband and I have been dealing with Lic. Ignacio Puerto, Fernando Lopez and their staff for the last 5 years. Not only did they help us with all the problems that one encounters setting up a business in Mexico but they also were very helpful with many other personal aspects that we came across in our endeavor. Whether we had to open a bank account, find a real estate agent, buy real estate, hire personnel, suggest holiday destinations, find hotels, recommend restaurants, etc. they were always very accommodating. 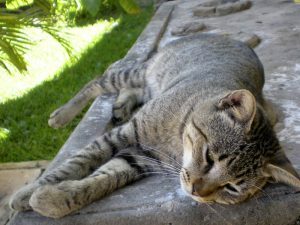 Their advice has always been helpful and they have made our stays in Merida very pleasant. We are very fortunate to have met both of them and we look forward to continue working with them in the future as they have become more of a second family to us than just our lawyer and our accountant. Thank you for giving me the opportunity to express my gratitude and satisfaction with the assistance of YES, and Paulina Gongora’s services in particular. From my first impression, when I walked in the door of the YES offices, I felt I was in the company of good, capable and honest people. It was not an easy task as there were two matters to settle. The registration of the vehicle to a new owner and getting new license plates. It took a lot of time, but I never felt not informed of the situation. Paulina and Juan Diego assisted me with attention to the matter(s), and when we found a way to get around one barrier, Paulina was willing and very helpful. I feel she gave 100% of her time to help. I was very satisfied with the results and I have told friends in the expat community about your valuable and reliable services. I plan to ask for further assistance with my immigration status, changing CFE y JAPAY to my name and plan to contact Paulina soon regarding these matters. Thank you again for contacting me. I was very happy with the services provided. If you are an expatriate, no matter how well you know the country you are living in, you still need reliable legal advice. Ignacio and his staff will always provide the support you need. My partner and I were introduced to Fernando Lopez Macari of Lopez Novelo DFK by our US financial advisors, Zainer Reinhardt Clarke DFK in Sonoma County, California. Both firms are members of the DFK international network of accountants and advisors. Fernando and his team were invaluable in helping us to set up bank accounts, establish good practices for the management of our rental property, and the general “handholding” that goes along with living as part-time expatriates. For the past five years they have provided comprehensive financial services including cross-border tax advice, banking introductions and management, bookkeeping, cash management and other general accounting services. Additionally, they have acted in an ongoing supervisory role to our property manager. 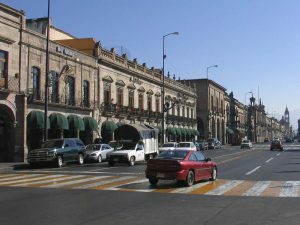 Over time we began buying other properties and engaging in other business ventures throughout Mexico. Fernando introduced us to attorney Ignacio Puerto of Puerto y Pino. Together they and their associates have advised us on immigration law (procurement and renewal of our FM3 visas), multiple real estate purchases, creating two Mexican Limited Liability Companies, establishing a maquiladora, conflict resolution with a neighboring property owner, tax planning in conjunction with our US tax advisors, local and federal Mexico tax filing requirements, and assorted other business issues. Srs. Lopez and Puerto are smart, professional, well versed in local and international business practices, and have excellent English. Both are invaluable partners to have, as is their entire team. We highly recommend utilizing the services of Yucatan Expatriate Services in your full or part-time move to Mexico. I have been using the legal services of Attorney Ignacio Puerto and associates for the past twelve years. At first, my husband and I came to Puerto y Pino for help with our Mexican work visas, when we were based in Merida as General Managers of hotels in an international hotel chain. We were introduced to Attorney Puerto by the local owners of the hotels. In 2005, I was hired to set up a regional office for an international architectural firm with headquarters in Asia. 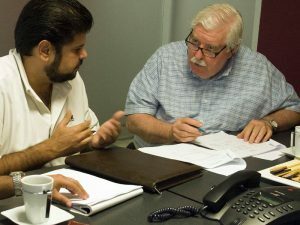 As this required both legal and financial services, Attorney Puerto introduced me to Accountant Fernando Lopez Macari of Lopez Novelo DFK, an accounting firm which is a member of the DFK international network of accountants and advisors. The results of the close cooperation between the two men and their companies greatly benefitted both myself and the company I represented. Ignacio and Fernando and their teams were invaluable in setting up the architectural firm’s regional office. They created two Mexican Limited Liability companies; they opened bank accounts for both the companies and for the newly hired 20 architects who were sent for three months to the headquarters in Asia. They also arranged for residential and work visas for the expatriates that were hired. They made all the employee contracts and advised on labor law issues. They did all the legal and financial work for purchasing a property and, by applying a smart strategy, they were able to save significantly on property taxes. They handled all the bookkeeping from the start. Furthermore, they advised us on any legal, financial or management matters, enabling me to administer the new companies efficiently. Their smart tax advice on several occasions was most appreciated by the owner of the new companies. They saved me so much time. As a foreigner living in Merida without any knowledge of how to do business here, I was unfamiliar with the business or administrative requirements of opening a business. Activities such as opening a bank account, renewing a visa, daily bookkeeping, buying a property, setting up a legal company that would take a certain amount of time back home, take at least twice as long here in the Yucatan if you don’t know what you are doing. Ignacio and Fernando represent a powerful combination of expertise and skills. They have both been exposed to international business issues, their English skills are excellent, and most importantly, both Ignacio and Fernando are locals, with deep understanding of the cultural and personal issues that are so important to doing business in Merida. They are the ideal team to help any foreigner starting a business in Merida. Today, five years later, I am no longer with the regional architect firm. The two companies I worked for are still being fully served by Puerto y Pino and DFK Merida, Ignacio Puerto’s and Fernando Lopez Macari’s firms. Personally, I continue to use their legal and financial services for my private business matters and for my small company that produces arts & crafts. This brings up another aspect I have always appreciated about Ignacio and Fernando: every client, large or small, gets the same attention and quality of service from them and from their staff. I can highly recommend Attorney Puerto and Accountant Lopez Macari and their associates should you move to Mexico. Whether you are moving to retire or to do a business, their services are invaluable to any client, large or small. Seriousness and a high-level degree of professionalism are two aspects that characterize the services that this company offers. I am very satisfied with the results that I have obtained with them, as well as with the effectiveness and kindness of their personnel, who transmit the feeling that you are dealing with people who understand the needs of the client. I recommend them without hesitating. Seriedad y alto grado de profesionalismo son dos aspectos que caracterizan los servicios que esta empresa ofrece; estoy muy satisfecho con los resultados que he obtenido. Además de la eficacia y amabilidad de su personal, que transmite la sensación de estar tratando con personas que entienden las necesidades del cliente. Los recomiendo sin dudar. La serietà e l’alto livello di professionalità sono due aspetti che caratterizzano i servizi che offre questa azienda . Sono molto soddisfatto dei risultati che ho ottenuto ed in più l’efficienza e l’amabilità del suo personale , trasmette la sensazione di stare collaborando con gente che capisce le necessità del cliente. Senza dubbi lo raccomando. I have known Betty for the past five years and I have been consistently impressed by both Betty’s attitude towards her work and her performance on the job. Betty is highly intelligent and has good analytical and communication skills. Her interpersonal and communications skills have allowed her to develop productive working relationships with both our clients and our staff. Betty has wide knowledge of the Mexican laws and their applicability. She also has a very strong accounting and financial background.